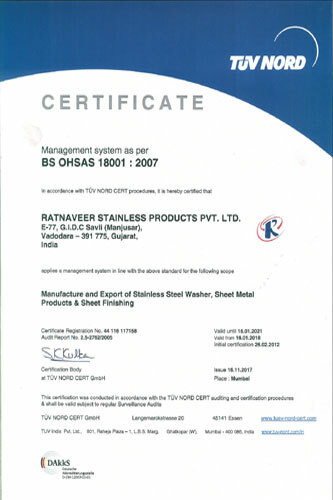 Ratnaveer Metals Limited. 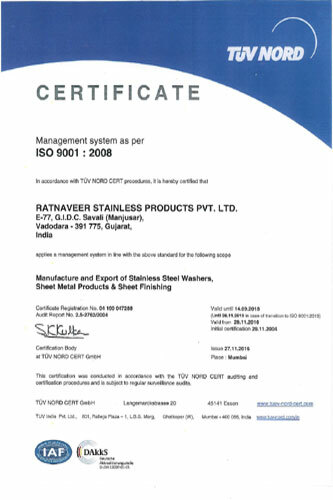 has been an ISO 9001 registered company. Being our company’s first rule "Customer First", we have always provided our customers with world class products. Our quality control system is fully documented and records are kept on all internal training. Our quality team is extremely knowledgeable and highly experienced to create the best quality products for your business. We have supplied Fasteners over a decade and the rate of rejection has been extremely low by ensuring the quality of the product. We manufacturethem and training our staff to identify defects. We have been able to minimize any problems with quality. Ratnaveer Metals Limited. 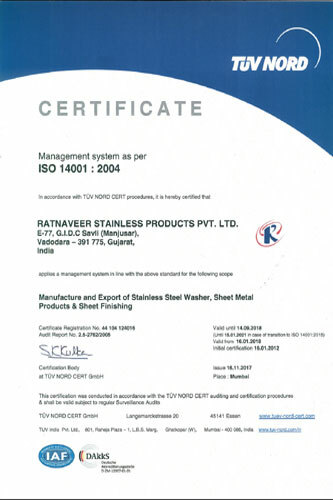 (an ISO-9001 company) was established in the year in 2000 in Savli (Manjusar) (India). The principle of the company was to aspire to high goals through innovation.